Task: to design a trade show booth. CES is a major international consumer electronics show taking place in Las Vegas. 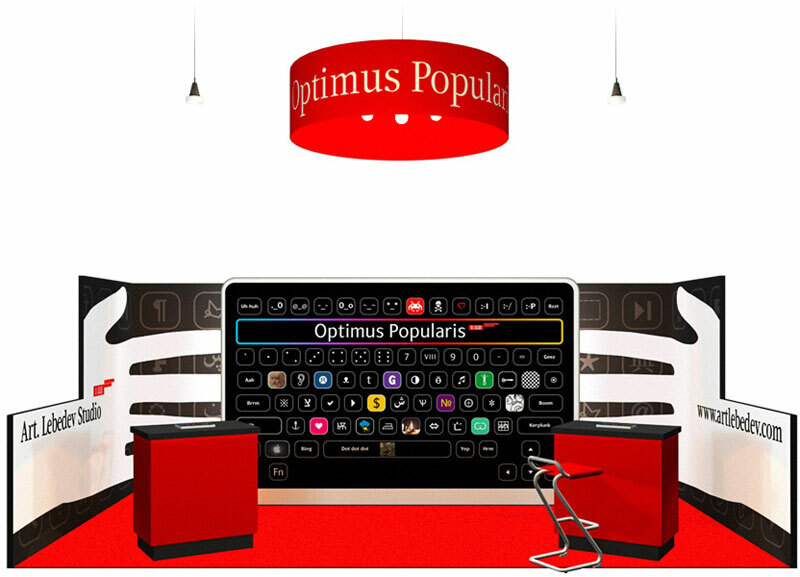 In 2013, the studio will present Optimus Popularis keyboard at the trade fair. The pictograms on the keys are made using a stereo-vario technology. The show’s dates are January 8 through 11. Visit Optimus Popularis at booth #35 603.